Stop by and meet Kenji. His work experience has spanned across contract work, working with a startup and now GDMS. Here to share his industry knowledge, navigation tips, and experience as a young professional. 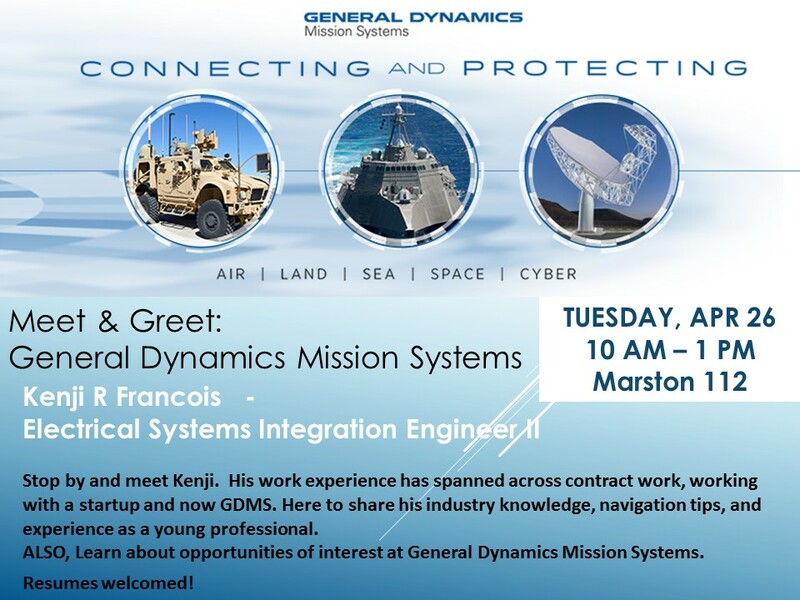 ALSO, Learn about opportunities of interest at General Dynamics Mission Systems.Resumes welcomed!